While some were wondering if last night’s sudden, commodity-liquidation driven selloff would last, most were not, expecting that the perfectly predictable levitation in the USDJPY around a round “tractor beam” number would provide a floor under the market . Sure enough, starting around midnight eastern, the USDJPY BTFDers emerged, oblivious to comments from former BOJ deputy governor Iwata who late last night said the obvious, and what we have been saying since January 2013, namely that a weak yen puts Japan at recession risk, and that a USDJPY in the 90-100 range reflects Japan fundamentals. And, as expected, the 109 level is where the algos have hone in today as a strange FX attractor, which also means that ES has reverse sharper overnight losses and was down just 7 points at last check even as the poundage in the commodity sector continues over rising fears of a sharp Chinese slowdown driven by its imploding housing sector (most recently observed here) without an offsetting stimulus program, following several comments by high-ranked Chinese individuals who poured cold water on any hopes of an imminent Chinese mega-QE or even modest rate cut. And speaking of pouring cold water on easing plans, the ECB did just that, when several of its governing council members, but most notably Ignazio Visco, said that the ECB may not do further easing after all because it had managed to punk the market once again, and the EURUSD is low enough to where the whole point of QE is now moot. In other words, the market once again discounted action by the ECB… which now will never come. It remains to be seen if the central bank FX traders (which as we now know are openly trading via the CME) will allow the EURUSD to return to its pre “discounting” levels as the ECB returns to full “jawbone Off” mode. European, Asian stocks fall with oil, metals after China declines to make policy changes in response to slower growth. Miners among largest underperformers, iron ore prices lower. U. S. equity index futures decline. Yields on 10-year U. K. gilts, German bunds fall. Tesco leads FTSE 100 declines after saying it overstated 1H profit by GBP250m. Fears that China may be prepared to accept lower growth this year sent Asian stocks tumbling while Western futures also fell along with commodities like oil, gold and silver hit hard. Chinese finance minister Lou Jiwei said China faces ‘downward pressure’ and reiterated that there won’t be major changes in policy in response to individual economic indicators. Group of 20 finance chiefs and central bankers meeting at the weekend said low interest rates could lead to a potential increase in financial-market risk, as major economies rely on monetary stimulus to bolster uneven growth. US housing data is due today. This post was published at Arabian Money on 22 September 2014. Markets are very active in the early Asian trading session (following the G-20-’s warnings over excess risk-taking). Precious metal liquidations continue with silver bearing the brunt (back below pre-Lehman levels) and gold down modestly. Stocks from China to US are all down notably too. The USD is weakening as EUR strengthens on the back of ECB comments about the possibility of no more stimulus and chatter that the PBOC may be selling USDs. Treasury yields are down (having retraced all FOMC losses). Iron Ore futures in Singapore just hit a record low below $80. This post was published at Zero Hedge on 09/21/2014. Think Like A Criminal And You’ll Understand What’s Happening. Hi Dave. I am a long time follower of your work. Just reaching out for your opinion if you don’t mind the intrusion. I made a decision back in 2005 to put most of everything except the homes we have into metals. Been riding this monkey up and down but I feel like the guy in the twilight zone episode where everyone speaks another language. Any advice for an amateur to stay the course? The most important aspect of this to understand – and I’m sure you do – is that this manipulation and take-down of the metals is being done almost entirely with Comex paper contracts. As long as they can keep printing paper contracts for which they’re never called on to deliver, they can fabricate fraudulent gold and silver supply. As you know, when supply exceeds demand, price goes down. I watch and trade the Comex everyday. And everyday, like clockwork, gold and silver start to sell-off in the last 30 minutes of Comex floor trading. There is no better example of how manipulated and corrupt the Comex is. It would be equivalent to a baseball player getting a hit every time he went to bat. As I’m sure you also know, gold and silver drift higher on most nights when the Asian/Indian physical bullion markets are open. That’s where the real market for precious metals is taking place. London is not only no longer the biggest physical bullion market in the world, it is now predominantly a fraudulent paper-derived market from which most of the physical gold has been transferred from London vaults to the eastern hemisphere buyers, who do demand actual physical delivery. In fact, as we’ve witnessed with this nonsense surrounding the gold/silver fix system and the removal of GOFO/SIFO rate reporting, the London bullion market has evidenced itself to be at least as, and probably more, corrupt than the Comex. This post was published at Investment Research Dynamics on September 19, 2014. Gold Today – The gold price closed at $1,224.9 up $3.30 Thursday in New York. In Asia and London, gold prices slipped slightly to $1,223. The gold price was Fixed at $1,222.50 down $0.50 and in the euro at 949.220 down 0.389, while the euro was the same at $1.2879. Ahead of New York’s opening, gold was trading at $1,222.50 and in the euro at 951.44. Silver Today – The silver price closed in New York at $18.51 up 2 cents. Ahead of New York’s opening it was trading at $18.43. Gold (very short-term) We expect gold to consolidate, in New York today. Silver (very short-term) We expect silver to consolidate, in New York today. Price Drivers There were no sales or purchases to or from the SPDR gold ETF and none to or from the Gold Trust, on Wednesday. The holdings of the gold ETFs stand at 784.217 tonnes in the SPDR gold ETF and at 164.72 tonnes in the Gold Trust. The Technical picture for gold still remains weak, but we feel that we are very close to an important bottom. 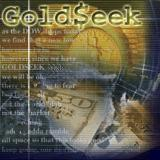 This post was published at GoldSeek on 19 September 2014. In its latest update to its 2014 Gold Survey, Thomson Reuters GFMS sees gold as entering a period of recuperation, but holds out little hope for any short term price appreciation, with physical demand falling sharply in the first half of the year compared with a year ago. Gold ETF sales volumes have been hugely less than they were in 2013 and Central Bank buying has been a little higher, as has been jewellery offtake, which should to an extent counter the fall-off in Asian demand in relation to 2013 figures. GFMS reckons this combination of factors should see more of a dynamic gold flow which will perhaps put a floor of around $1200 under the gold price. It is relatively close to that now after the post-FOMC fall sitting at a little over $1220 as I write, and given the gold price has fallen back by almost $100 in the past month, even the predicted $1200 floor looks vulnerable given COMEX trading patterns. This post was published at TruthinGold on September 19, 2014. Once upon a time, when such things as industrial production, machinery sales and construction, trade and commercial interactions mattered, today’s Caterpillar retail sales, which painted a grusome picture for global manufacturing and industrial production, may have gotten more than a casual comment on page… well, nowehere really. However, since everyone is hypnotized by a “recovery” on the back of “smart-beta” aka $10 trillion in liquidity injections by central banks, and a global “service” economy in which all tha matters is shuffling every greater numbers of pieces of paper from point A to point B and collecting commissions while clicking on FaceBook ads, it obviously doesn’t matter to anyone that according to CAT the mini industrial recovery in the US has plateaued and after retail sales rose 14% Y/Y two months ago, dropped to 11% in July and to 8% most recently (blue bar on chart below), and coupled with a double digit collapse in Asia, EAME and Latin America sales (by -24%, -17% and -29% respectively), the industrial bellwether has now seen a mindblowing 21 consecutive months of declining Y/Y global retail sales. This post was published at Zero Hedge on 09/19/2014. Demand for gold in China slumped in the first half of the year as retail consumers continued to digest opportunistic purchases made last year when the price of bullion fell sharply, according to a new report. Soaring retail demand saw China overtake India as the world’s largest gold consumer for the first time last year. The buying frenzy, which led to a temporary shortage of physical bullion, was triggered by a 28 per cent fall in the price of gold – the worst performance in more than three decades. This year, however, consumers across Asia have stayed on the sidelines, put off by a lack of price volatility and slowing economic growth. A crackdown by Chinese authorities on corruption has also weighed on the Chinese market. In an update to its influential annual gold report Thomson Reuters GFMS, a consultancy, said Chinese jewellery fabrication demand had dropped 22 per cent to 351 tonnes in the first half of 2014 as consumers worked through the ‘extra gold purchases during the frenzy of 2013′. ‘Softer economic conditions, along with a relatively stable price environment, also help to explain this year’s weakness,’ said the report. *CHINA TO FORM SHANGHAI GOLD BENCHMARK, PBOC GOVERNOR SAYS *PBOC CHIEF ZHOU: GOLD MARKET IMPORTANT PART OF FINANCIAL MARKET *SHANGHAI GOLD MARKET HAS TO AVOID SYSTEMIC RISK: PBOC’S ZHOU Furthermore, traders have noted physical buying interest continues in the Asian region as premiums rise in China and India. This post was published at Zero Hedge by Tyler Durden /09/18/2014. It has been a story of central banks, as overnight Asian stocks reversed nearly two weeks of consecutive declines – the longest stretch since 2001 – and closed higher as the same catalysts that drove US equities higher buoyed the global tide: a combination of Chinese liquidity injection (for the paltry amount of just under $90 billion; “paltry” considering Chinese banks create over $1 trillion in inside money/loans every quarter) and Hilsenrath leaking that despite all the “recovery” rhetoric, the Fed will not be turning hawkish and there will be no change in the Fed language today (perhaps not on the redline but Yellen’s news conference at 2:30pm will certainly be interesting), pushed risk higher, if not benefiting US equities much which remains largely unchanged. Overnight Goldman joined Hilsy in predicting “no change” to the language, when its strategists said the Fed won’t drop “considerable time” from statement today and the language will instead be watered down and dropped in months ahead. However, if past Yellen press conferences are any indication, watch for her to once again define just how many months “considerable time” implies, although if she says 6 months again, algos may be confused. Other banks disagreed, with Deutsche Bank’s base case is that the phrase will be dropped this time round for two key reasons. First removing the language gives the Fed more flexibility to act sooner if the economy outperforms against expectations in the months ahead. Secondly, Committee participants on both the hawkish and dovish sides (as well as the center) have publically expressed that it is time to remove the language. So it is likely that the Yellen will agree to make this language change but only if she feels this can be achieved without causing the market to bring forward significantly its expectations about the timing of the first rate hike. All eyes will therefore be on the press conference where Yellen will likely emphasise that the change is not intended to signal a significant advance in the timing of the first hike but rather the timing will be based on recent and prospective economic performance of which the key labour market and inflation indicators are still much below desired levels. As DB’s Jim Reid notes, given that the removal of this key phrase has probably been increasingly priced in over recent days, it didn’t take much for the Dollar to slip yesterday after the WSJ’s Jon Hilsenrath said that he thinks the Fed may keep the words -considerable time? in its policy statement but qualify them instead. The WSJ correspondent thinks that given the economic backdrop, the Fed wouldn’t want to send a signal right now that rate hikes are imminent. He also thinks that the Fed will focus on its QE exit strategy in this meeting and that they may think that by focusing on both the exit strategy and guidance changes at the same time, it will be too much for the market to handle. So for him the “considerable time” language stays. The recent minutes suggested that the Fed was indeed close to agreeing on updating their exit strategy on asset purchases when they met in July. China may join other emerging countries in boosting gold reserves as the precious metal makes up a smaller share of its foreign-exchange holdings compared with developed economies, said a London-based researcher. The country hasn’t announced any changes to state gold reserves since authorities in 2009 said holdings totaled 1,054.1 metric tons. While China holds the world’s biggest foreign-exchange reserves, bullion accounts for 1.1 percent of the total, compared with about 70 percent for the U. S. and Germany, the biggest gold holders, World Gold Council data show. Central banks, net buyers of gold for 14 straight quarters, helped limit bullion’s losses last year that were the most since 1981 and may increase purchases to as much as 500 tons this year after adding 409 tons last year, the London-based council said Aug. 14. The precious metal rose 3 percent this year as geopolitical tensions boosted demand for a haven. This post was published at TruthinGold on September 16, 2014. Overnight weakness in Asia and Europe was shrugged off. The Dow hit all-time record highs (first since July) and the S&P broke back above 2,000 following headlines proclaiming a “stealth QE” from China (which actually hit the news during the Asia session) and chatter from WSJ’s Hilsenrath that The Fed will leave the words “considerable period” in the statement tomorrow. Early weakness in stocks was ripped 25 points higher in the S&P on the back of a 97% correlation to AUDJPY (China-driven), the USD dumped to unch for the week (worst day since May), commodities all took off higher (led by Copper and Oil), and Treasuries flip-flopped to end steeper (5Y -5bps, 30Y 1bp on the week). “Most Shorted” stocks squeezed higher. HY credit compressed with stocks rally but decoupled later in the day. The Nasdaq and Russell (nearing death-cross) remain red on the week despite today’s exuberance. VIX was smashed back under 13 (which makes perfect sense because there is no uncertainty this week at all). S&P closed below 2,000 and The Dow “off the highs”. This post was published at Zero Hedge on 09/16/2014. Gold prices have begun this week on a slightly firmer note, reversing the trend of the previous six days, after physical buying emerged in Asia as well as some short covering ahead of a meeting of the U. S. Federal Open Market Committee meeting this week. Last week, gold came under selling pressure as prices fell below certain key technical levels triggering sell-stop orders which caused prices to fall to the $1230 an ounce handle in relatively thin volumes. By the end of the week, the price of the yellow metal settled at $1228.30 per ounce. The recent price drop can be attributed to traders on Comex who have a bearish view on gold due to the current U. S. dollar strength. And, the strength in the greenback has nothing to do with a vibrant economy and instead has everything to do with the weakness in the euro and the yen as economies in Europe and Japan plunge. Geopolitical tensions have now also become a distant second to central bank policies and the latest economic news. And, almost all the articles as well as radio and TV interviews about the gold market have nothing positive to say. After the ECB announced another round of stimulative monetary policies, the euro tumbled, and the U. S. dollar rallied to a 14 month highs. The U. S. Dollar Index has shot up 6% from its May low, an uncharacteristically strong move for a currency. This has weakened the gold price, since the two generally have an inverse relationship. And if the dollar is strong, maybe we should expect gold to be weak. This post was published at Gold-Eagle on September 16, 2014. China will launch its international gold exchange 11 days ahead of schedule, sources said on Tuesday, racing ahead in the scramble to set up an Asian bullion benchmark as rival Singapore is forced to delay its gold contract due to technical issues. Asia, home to the world’s top two gold buyers – China and India, has been clamouring to gain pricing power over the metal and challenge the dominance of London and New York in trading. The state-run Shanghai Gold Exchange (SGE) will launch the global gold bourse in the Shanghai free-trade zone on Thursday, two sources familiar with the matter told Reuters. The SGE had initially planned the launch for Sept. 29. The change was made based on the availability of some government officials to participate in the launch event, one of the sources said, adding that all 11 physical gold contracts will begin trading on Thursday. If over the weekend we got some terrible economic news out of China, then overnight it was turn for a major disappointment in capital flows, when Chinese Foreign Direct Investment in August crashed by 14%, far below the 0.8% increase expected, attracting just $7.2 billion in FDI, and the lowest in four years. This once again sparked fears of a Chinese hard landing and sent the Shanghai Composite tumbling 1.82%, the biggest drop in six months, after it had been up some 0.2% before the data release. The slump in FDI to -14.0% vs. Exp. 0.8% was a direct result of the anti-trust clampdown on multi-national corporations operating in China after scandals have engulfed the likes of GlaxoSmithKline in recent months. In addition to China, there was the German ZEW Survey, which while beating expectations of a 5.0 print, dropped from 8.6 to 6.9 in August, the lowest since 2012. In fact, the gauge has decreased every month since December when it reached a seven-year high. And while there is not much other news today ahead of the blitz assault of data later in the week, including the Fed tomorrow, the TLTRO announcement on Thursday and the Scottish referendum results and the BABA IPO on Friday, we are stunned futures aren’t as usual, soaring. As noted yesterday it wasn’t just China: Asian equities suffered their longest losing streak in 12 years now that fears of a hiking Fed are finally starting to manifest themselves in equity outflows. The weakness in China, coupled with caution ahead of tomorrow’s FOMC policy statement has weakened emerging markets, with emerging markets on track for the ninth consecutive daily decline – the longest losing streak since September 2001. Asian stocks fall with the Kospi outperforming and the Shanghai Composite underperforming. MSCI Asia Pacific down 0.5% to 144.3. Nikkei 225 down 0.2%, Hang Seng down 0.9%, Kospi up 0.3%, Shanghai Composite down 1.8%, ASX down 0.5%, Sensex down 1.2%. 0 out of 10 sectors rise with staples, industrials outperforming and financials, energy underperforming. Japan’s broad TOPIX index is lower this evening after the holiday weekend – following a six-day rise – led by Real Estate, Mining, and Banking sectors as traders suggest “the mood is to hold back ahead of the Fed meeting.” China’s dismal data and comments about no imminent rate cut have done nothing to tamp down enthusiasm for Shanghai Composite stocks as the Chinese government “unveiled guidelines to support the development of the stock market, pledging to make blue chips bigger and stronger and more actively traded,” though HKSE is delayed for now due to Typhoon warnings. MSCI Asia-Pac is down at the open for the 9th day in a row – the longest losing streak since 2002. This post was published at Zero Hedge on 09/15/2014. While today’s key news event will be the preannounced latest, third, round of anti-Russian sanctions and the Russian retaliation, the reality as DB notes, is that the market seems to be seeing “some fatigue” in this story with the ECB, Scotland and next week’s Fed meeting taking center stage. As a result, and ahead of expectations of change in Fed language which should carry a more hawkish tone, the dollar has been bid up some more overnight, leading to fresh multi-year highs in the USDJPY, and the now-paired TSY trade, with 10Y yields up to 2.57%, although this may now be in short-term oversold territory. The latest Scottish poll appears to have dented some of the “Yes” momentum, with 52% of the polled saying they would vote No in the referendum, although right now neither side has a clear majority when factoring in the undecideds: which means it will come down to the wire next week, with clear implications for Europe’s secessionist movements if the Yes vote still manages to prevail, not to mention massive ramifications for the UK. European equities trade mixed, with minor outperformance in both the FTSE-100 and the IBEX-35 as recent independence campaigns from Scotland and Catalonia lose some steam. Yesterday’s YouGov poll showed Salmond’s Independence bid only briefly holding the lead over the ‘No’ vote, as unionists reclaimed the top spot just six days away from referendum polling. Nonetheless, Spain’s IBEX-35 has suffered throughout the week on Catalonia’s break-up bid, with today’s upside only trimming the weekly losses to 2.2%. 14 out of 19 Stoxx 600 sectors rise. 55.7% of Stoxx 600 members gain, 41.2% decline. Eurostoxx 50 -0.1%, FTSE 100 0.2%, CAC 40 -0.2%, DAX -0.3%, IBEX 0.3%, FTSEMIB 0%, SMI -0.3%. Looking to the day ahead, in Europe we have the Spanish August inflation read (expected in at 0.1% MoM), Italian and euro area July Industrial Production (expected in at -0.2% and 0.7% MoM). In the US we have August Retail Sales reads with the advanced MoM expected in at 0.6%, the September UoM Confidence read (expected at 83.3) and July Business Inventories data (expected in at 0.4%). In geopolitics, today sees the strengthened EU sanctions on Russia take effect. Implementation had been delayed in light of the ceasefire announcements last week but yesterday leaders and diplomats agreed to now bring them in. The US looks set to follow suit and President Obama yesterday said he would provide more details today. We seem to be seeing some fatigue in this story with the ECB, Scotland and next week’s Fed meeting taking center stage. However the regions problems are clearly yet to be resolved and the aim of bringing in the new sanctions today is to keep up pressure on Russia (BBC). Russia has said it is preparing its own sanctions in response.